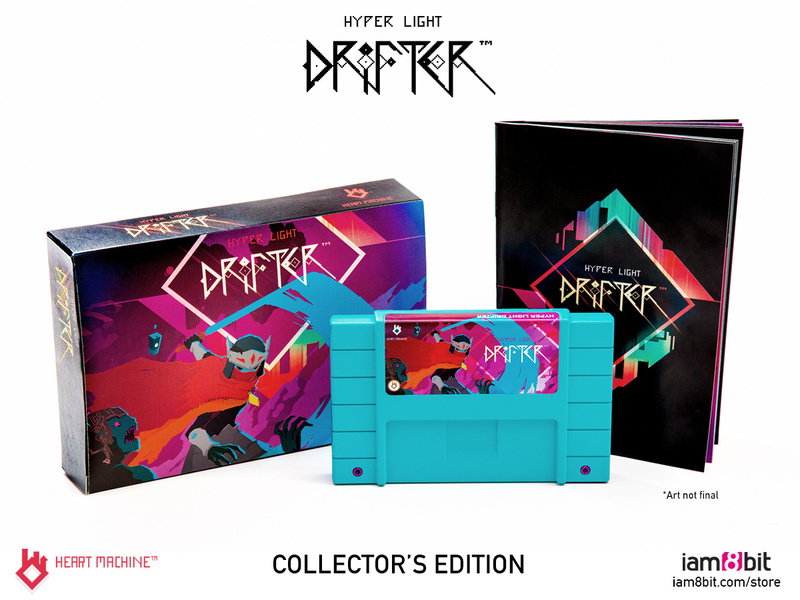 Remember Hyper Light Drifter? The somber neon action game took a lot of its cues from The Legend of Zelda and was a standout indie release of last year, with a Wii U version planned at one point. 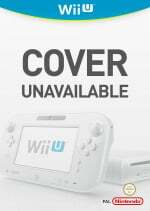 Unfortunately, the developer ran into significant development barriers—the game would have to be entirely rebuilt in a brand new engine to work on Wii U—and that version was scrapped. Still, recent comments from Heart Machine suggest that perhaps Nintendo fans still have hope. A fan on Twitter recently expressed interest in playing the game on his or her Nintendo Switch, to which the developer replied that it’s being looked into. It’s obviously a far cry from outright committing to bringing it to the platform, but the game would no doubt be a perfect fit for the hybrid, and it would bring things full circle by finally giving the Nintendo audience a way to play it. Hopefully there’s more to this, but only time will tell. What do you think? 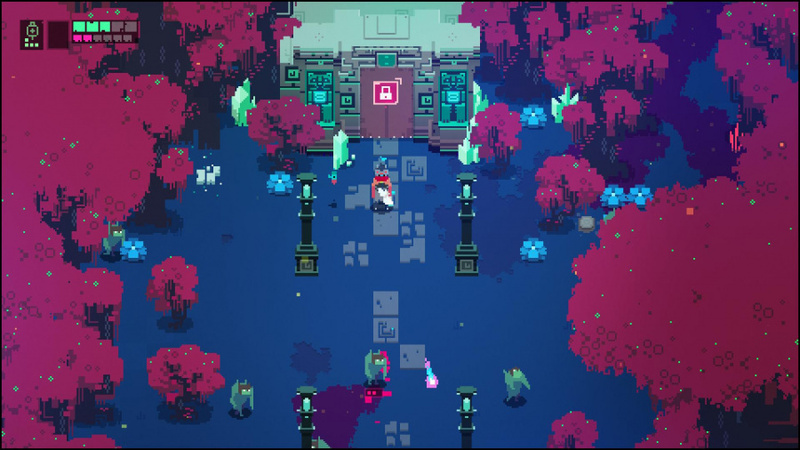 Would you play Hyper Light Drifter on the Switch? What new additions or enhancements do you think could be added to sweeten the deal? Share your thoughts in the comments below. ......I thought this was on the Switch....or am I mixing this up with something else? Definite purchase from me. I was teased for years before being totally let down. I'd love to play HLD on the Switch. Followed HLD's development for years, waiting to play it on Wii U as originally promised and was shafted when they canned it. Ended up buying it on Steam even though I hate gaming on my PC. It's an amazing game and I would rebuy it on Switch in a heartbeat, even pay a full $60 retail price. Would be nice. I'd buy it. I'd buy, but I doubt it will come to Switch. Ye, would be an easy purchase this. @Joeynator3000 You're mixing it up with worrying about rewriting bad words to less offensive synonyms and making your readers sound like sexual intercoursing silly people. Screw them i dont care anymore. I backed the wiiu version originally but then bought it on PS4, its a fantastic game but i couldnt care less if it comes to the switch now or not, its been out for a couple years at this point. I already have it on PC but anyone who hasn't played it yet should pick it up since it's a really good game. One of the best games of last year I think. It's something everyone needs to play if they if they're even remotely interested. I hope it's coming over. @PAHTK Couldn't agree more! There's a whole bunch of quality indies I own on my PS4 and Vita that I'd snap up in a heartbeat if they came to Switch. Hyper Light Drifter is definitely one of them! Others include Downwell, Nuclear Throne and Spelunky. I have for PS4 and would buy again in an instant if released for Switch. Amazingly good indie title. Friend of mine constantly praises this game. I lack a PS4 and only really like to play games on my PC as a last resort (unless it is FPS or RTS). Would totally buy on Switch. One of my favourite indies so I'd definitely buy again to support the developer. Fantastic art style and soundtrack. More than once I had my mouse cursor over the Steam page of the game. I haven't committed because I keep thinking "Surely they will port this to the Swtich one day... it would be crazy not to do it, right?". Don't be crazy, do it. Take this with a HEAVY load of salt. If they make it for the Switch, I will buy it. I really hope this happens. One of the best games I have ever played. I would gladly get this again. This and N++ and my PS4 will become practically useless lol. This is the gamethat had a special edition SNES cart but wasn't released on a nintendo system right? A bit of irony just there. Despite it being absolutely fantastic, I never finished it. I would totally buy it again on Switch. Ah man...I know EXACTLY what held it back from releasing on the Wii U. Had the same problem while prototyping my own project. If this gets in, then that "one MEGA popular" indie game, built with the same development software, would most certainly be able to get on the Switch! Wasn't Undertale, a game made with GameMaker: Studio, recently confirmed for the PlayStation Vita? I've only heard good things about this game. Hopefully it makes the jump! would buy it on the switch in a heartbeat. Hyper Light drifter, Shovel knight, Binding of Isaac and Minecraft are my favorite indie games. The Nintendo Switch only miss the first one. Lets go, make my dream comes true. This game is a piece of beautiful art on PS4. Will rebuy it the second it will be release. Great game that should feel right at home on a Nintendo platform. I won't double dip (have it on PS4), as there's way too many games competing for my free time as is, but if you haven't played this, you don't need to think twice. I hate that kind of response either commit or not. lord baby jesus please make this happen! @Joeynator3000 I'm going to wager your thinking of kamiko. Art style is very similar. I'd buy if it came to switch. Well I hope they see this thread. Assuming that no one has double posted, they have about 30 definite sales! 30! Ker-ching. They would be crazy to NOT make it for the Switch right? Right? I would buy a special edition physical copy. Yes! Always wanted to play this game on a Nintendo console. @Joeynator3000 Yeah, that's Kamiko. It definitely has a similar look and feel to it (not in regards to its atmosphere), but Kamiko is kinda like a much shorter, easy-mods version. Both are fun to play, though, but man, Hyper Light Drifter gets up there on the difficulty scale.